Posted on June 23, 2014 by admin Posted in Beef, Recipes	. Heat your smoker to between 235 and 250. Your ribs should not be brought to room temperature before being put on the smoker. Mix together 6 cloves of finely chopped garlic, 4 tablespoons of kosher salt and 4 tablespoons of black pepper. Thoroughly rub the spice mixture into the meat. Insert your meat thermometer into the meatiest part of the ribs. Avoid overly fatty areas. Continue cooking the ribs at 235 to 250 until the internal temperature of the meat reaches 195, approximately 8 hours. 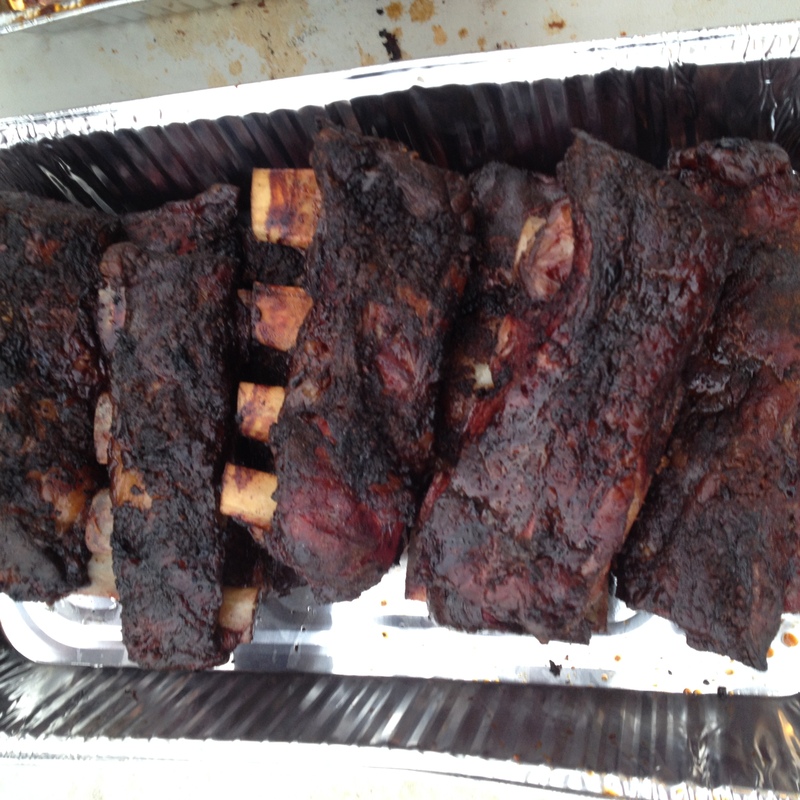 Remove the ribs from your smoker and allow the meat to rest for 30 minutes before separating the bones. Put the Bentley Batch 5 Barbecue Sauce of your choice directly on your ribs or use it as a dipping sauce for the meat. Note: To speed up the cooking, you may choose to wrap the ribs in heavy duty foil after the internal temperature reaches 165. Once wrapped continue cooking the ribs until they reach an internal temperature of 195. Remove the ribs from your smoker and unwrap the ribs. Allow the meat to rest for 30 minutes before separating the bones. Tags: Bentley's Batch 5 Beef Short Ribs	.